Got some tips and tricks via hours’ Google drive. Since I’ve forgotten screen lock password, to get Wechat messages back from my old iPhone, I need get help from a third-party iPhone data recovery tool. Here iRefone is one the top recommendation (See a review of the best iPhone data recovery software). 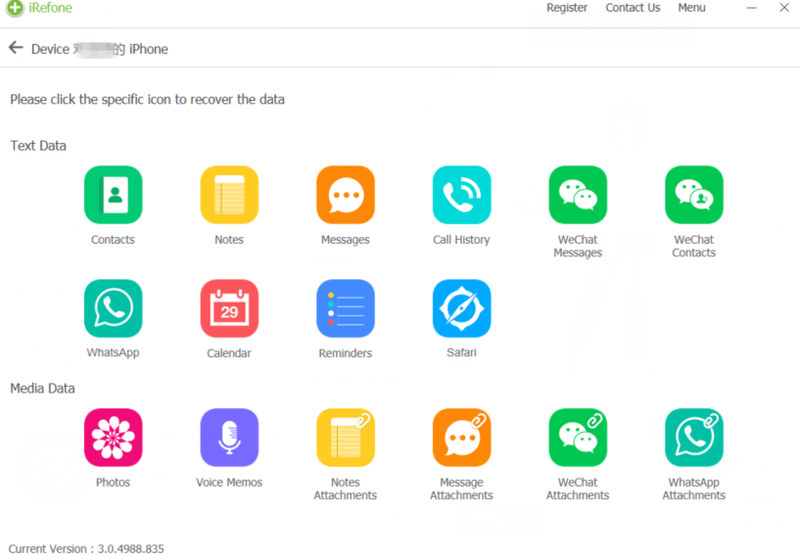 With it, users can also selectively recover Wechat messages from disabled/locked iPhone if you do not like the whole restore from iTunes or iCloud. For Mac guys, there is a Mac version. Step 1. Start iRefone after completing the download, then just click the Recover from iCloud Backup at the upper-right corner of the interface. You’ll be asked to sign in with your Apple ID account and password correctly. Step 2. Choose WeChat to download. It takes several minutes. Step 3. Click specific icon to start scanning automatically, like WeChat Contacts, WeChat Messages, WeChat Attachments. Please wait in this stage patiently and the duration depends on the amount your device have. Step 4. When finish scanning, you can preview and choose WeChat contacts, WeChat messages you need. Tap on “Recover to PC”, and choose folder path to save them.